Casement windows from Anglian are secure, energy-efficient and attractive, so it's no surprise they're our best-selling style. Available in uPVC, wood or aluminium, they're individually designed especially for you in the glazing, colour and configuration of your choice. With top or side hinges, our casement windows are incredibly versatile and high performing, keeping your home well-insulated and secure all year-round. Each window is made individually using your choice of frame and glass. Get a quote today and see how easy it is to transform your home. 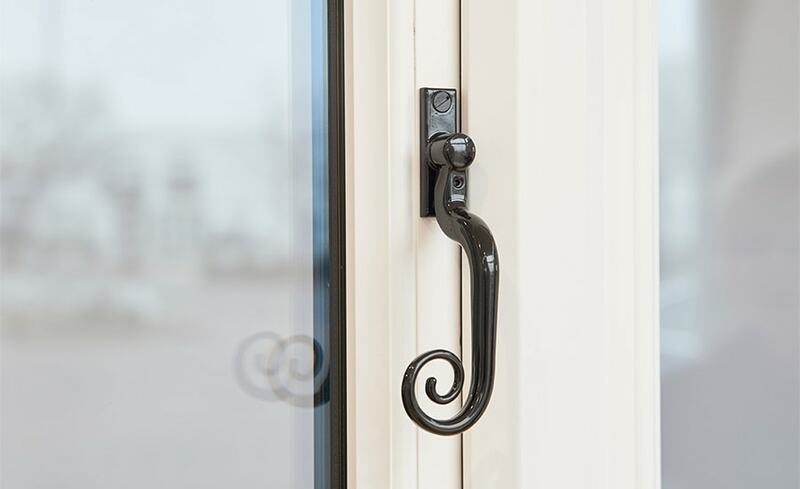 Our uPVC casement windows come A rated or higher as standard, which means they're a high performing option whose energy efficiency can help cut your heating bills. Each window is individually designed and unique to you, and will also help to keep you safe with modern security technology. With Anglian, achieving the cost and energy savings you're looking for is easy. One of our designers will visit you at home to give you expert advice tailored to your specific circumstances. They’ll show you the benefits of opting for our A+ rated double glazing or A++ triple glazing, guide you through the choice of frame configurations that will make your windows perfect for each room, and show you our range of hinges, openings, handles, decorative bars and glass to ensure your windows are bespoke down to the very last detail. Once you’ve decided what you'd like, the designer can give you an accurate quote. Our craftspeople will then make your casement windows to your exact specifications, ensuring that they fit your home perfectly. Choose your ideal uPVC windows, or composite/most popular uPVC front door, change the colours and furniture and see how it looks on a house type like yours. Our craftspeople make every double-glazed window individually to guarantee you the best in energy-efficiency and finish, whatever material and style you choose. If you’re looking for additional warmth, security and noise reduction, our state-of-the art triple glazing is the perfect choice for your replacement windows. You can benefit from increased warmth and sound insulation without replacing your current windows with our technologically-advanced and unobtrusive secondary double glazing. Your security is of paramount importance, so at Anglian we manufacture windows to reflect this. Each window is made with robust multi-chambered uPVC with welded joints for added strength against forced entry. All our windows achieve a high energy rating, with triple glazing guaranteeing maximum performance. With recent advancements in glass technology, our windows are more energy efficient than ever, saving you money on heating bills and helping to cut carbon emissions. All our A-rated windows provide a sound protection level of 31dB, however our "Safe and Sound" range goes further for those living by busy roads, flight paths and railways. You'll want to be certain that you've chosen the right company to replace your windows, so discover the Benefits of Anglian Glazed Windows and rest assured that you've made the best decision. We guide you through every stage of the process, even making payment easy. As you can see below, we confidently guarantee the quality of our work. Find out more about double and triple glazing in our useful Window FAQs Section or read our articles below. What are the benefits of glazed windows? Can I paint uPVC window frames? How do you stop condensation? Got questions about choosing Anglian? Find out why Anglian is the right choice for your replacement windows. You'll want to pick your new casement windows wisely, so our "Good to be Home" online magazine will not only help to inform your choices but it's bursting with tips and information to help you transform your home. With great interior design tips and the science behind our energy-efficient windows, you'll find what you're looking for. Can You Fit Double Glazing In Your Home?